Hi, my name is Lesley and I'm a pinaholic. It's been 1 day since my last pin. Seriously, pinterest is a great place for inspiration and recipe ideas. I have 125 recipes pinned to my food board right now. When am I going to find the time to make all those? Sometimes it's hard to make a recipe because, although the picture looks great, the dish might not be so good. I think it would be awesome if there was a recipe reviews part of pinterest. Something to where if you pinned something and made it and wanted to leave a comment, that everyone could see it. I think that would be helpful. I know you can leave comments on pins but I think only your followers or people that repinned your pin can see it. Since no place like that exists (that I know of) I'll leave comments on the pins for recipes I make and leave reviews here. I'm going to start with two recipes I made this weekend. I pinned Paula Dean's Gooey Cake recipe a while back and finally made it Saturday. When I initially saw the recipe, it make me think of a dessert my husband and I devoured at a little Italian restaurant. When the waitress brought us our check she made sure to tell us that she'd never seen two people finish the entire thing. Yikes. It was so good though. Although it has been years since we ate that Italian Butter Cake, Paula Dean's recipe seemed the same and was just as delicious. The Gooey cake was super easy to make and called for very few ingredients - thus, making this a go-to dessert any occasion. The only thing I varied was adding some powdered sugar to the top after it cooled. I think it makes it look extra fancy! The other recipe I tried, and have made 3 times in 2 days, was an Orange Julius recipe. 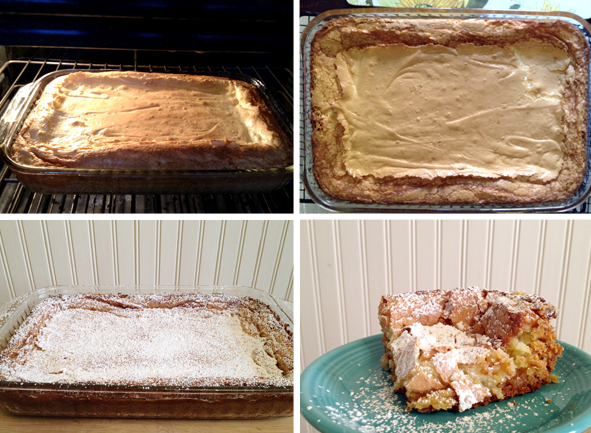 Here's a link to the recipe from Sweet Treats and More. It tastes just like an Orange Julius from the mall! That's a great thing in my book. 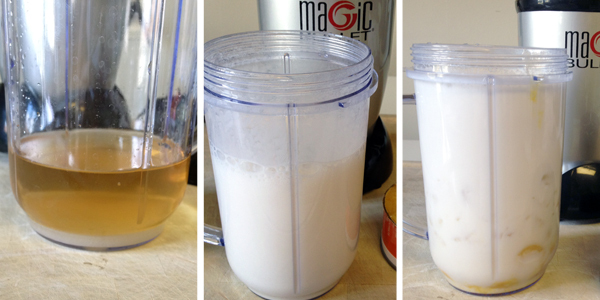 If you have milk, water, sugar, vanilla, ice and orange juice concentrate, you are ready to make your own! I thought her recipe was great but a tad too orange-y for my taste so I tweaked the recipe to my liking. First I blended the water, sugar and vanilla in my magic bullet and then I added the milk and blended a little more to get it good and frothy. Next I added the on concentrate and enough crushed ice to fill the cup and blended until the ice didn't make any noise. I divided it between two cups but seriously could have drank the whole thing myself. Perfection. Even the husband agreed it tasted just like a real Orange Julius! I see myself trying this recipe with all kinds of different concentrates! I'll let you know how that goes. So, long post but there you have it. Two pinterest recipes crossed off the list and reviewed. my grandma makes that cake all the time! so fattening! and so delicious! 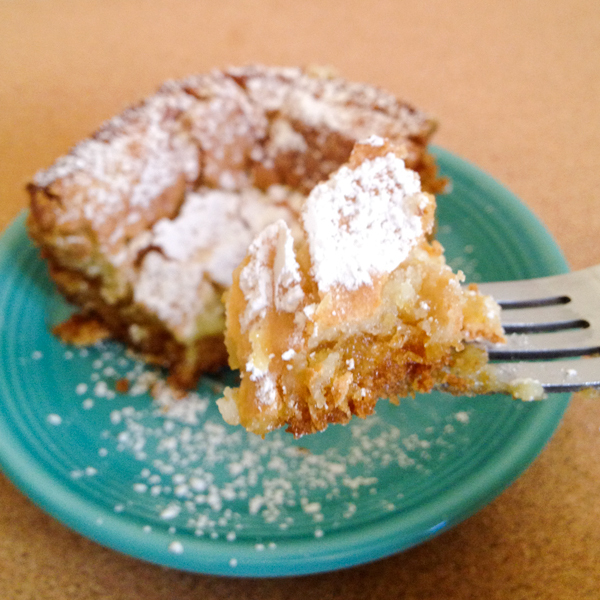 I made a version of the gooey cake - the toffee butter gooey cake. It was good but the kind of recipe you have to take somewhere for fear of eating it all yourself. And I think we'll be partaking of Orange Julius(es?) today. Thanks for sharing that recipe! I have had the same frustration! I took the lazy approach and just delete things that are not that great. I am now partially motivated to do thorough reviews! Yay pinterest. And I am totally making that orange julius now. Can't wait to try that cake. Pinning it right now :) P.S. I like allrecipes.com because most recipes have tons of helpful reviews. I feel the same way about Pinterest. I have made a few comments on my own pins after I have made the recipe. I actually just made one of my pins tonight... Mushroom soup! Of course there are a few things I would like to tweak next time, as I do with a number of recipes I have tried. it's 6:50 am and i am making the orange julius. not kidding. i preheated the oven for the butter cake but i don't have enough powdered sugar so i am making my mom drop some off on her way to work. #thankyouverymuch. BTW, I made the orange julius yesterday for my boy and myself...only we were out of milk so I subbed in sf vanilla coffee creamer and omitted the sugar, and vanilla...Oh my heavens! PERFECTION! 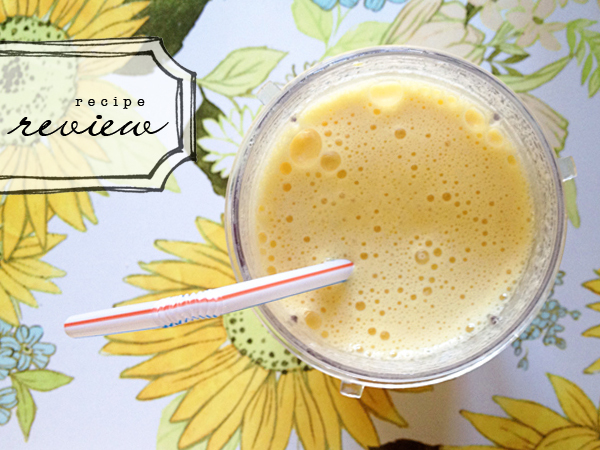 I think vanilla is what has been missing from all my attempts to recreate the original orange julius! Thank you for sharing! We are now enjoying a morning version with added banana and flax meal! Yumm!